The perforated tin or sheet metal looks black, possibly from soot. Is it? The perforations in the shape of the Star of David could indicate a Jewish connection. Is there a religious celebration that requires heating something? The elaborate brass grate indicates the use was meaningful. The initials look like boyfriend-girlfriend, CTU + ACU doodlings. Is there a manufacturer's plate on back, sides or bottom? Patent number, date,etc. Thanks for the input. Alas, no manufacturer's mark, the writing in pencil on the bottom could be a price(?) as in 9.00. I'll keep in investigating, you've led me in an interesting direction I would not have thought of!! I'm reminded of the arc sp? 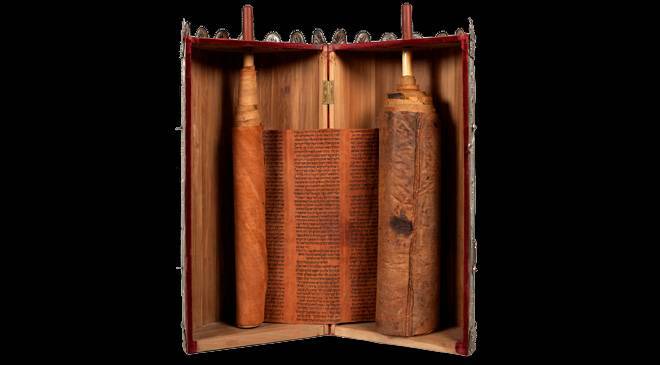 of the covenant, carried by two poles etc.. Maybe a box for a Torah sp?